RAF Flying Boat base, 1930s, location?? Hi all, Can anyone out there identify the location in the attached photo. 1930s flying boat base, somewhere in the tropics. Looks like a Short Singapore II on the slipway?? Last edited by chumpy; 8th February 2009, 10:00. Without the benefit of a hi-res copy a couple of thoughts arise. Is it a Singapore II? Because it could be a Calcutta or Rangoon or indeed a Bizerte. 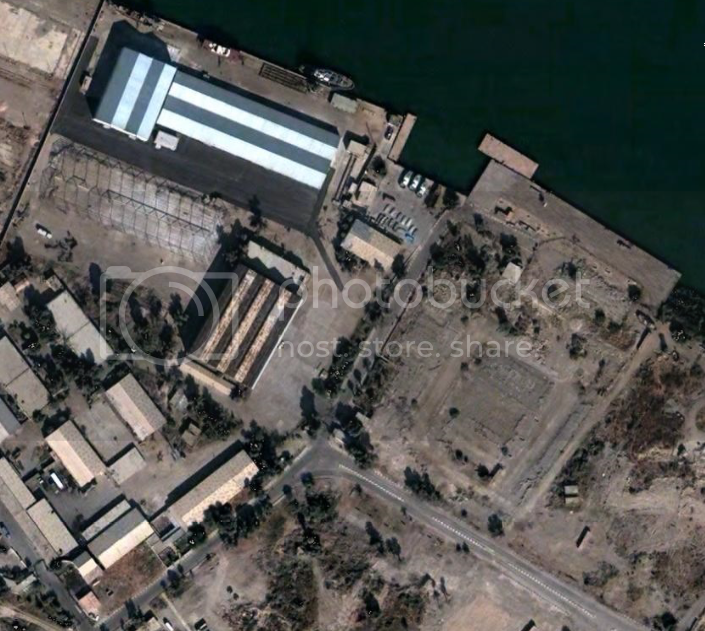 203's Rangoons were based at Basrah. It could of course be an Imperial Airways base. In the fore ground is a pretty impressive (War?) memorial. Sorry if I've raised more questions. Last edited by John Aeroclub; 27th September 2008, 19:49. Alas only a small photo, the close up as good as it will get quality wise. So yes could well be something other than a Singapore..I am open to offers!! The memorial is the Basra war memorial in Iraq. The memorial is no longer at the same location, as In 1997, Saddam Hussein ordered the memorial to be moved from the city to a remote location in the desert, half an hour outside Basra. You can see the hangars behind the memorial. Caption: The winners were 203 Squadron. This image might possibly be from the same base, as the caption is "British seaplanes awaiting flight near Basra in the late 1930s"
I seem to recognise the building in the foreground, from the aerial picture. Maybe Im just imagining things, but browsing Google earth I came across this building, that looks pretty much like the hangar on the original picture. Its even about the same distance from the river. We know the memorial was removed in 1997, but that whold area looks kinda abandoned. Many thanks Mondariz...you have indeed done me proud!! The google-earth image certainly looks to be the same location, yes looks a bit abandoned...probably due to the noisy neighbours!! Would agree with John on the aircraft type- a Rangoon, of 203 Squadron, the only flying boat unit stationed in Iraq in 1931- on. Note the single fin shadow on the tarmac and the port-side circular hatch (gun mounting emplacement?) in the fuselage just behind the wing. The Singapores would have been post 1935, so conceivably the shrubs and trees either side of the slipway would have grown in the intervening period. Well done Mondariz, on the detective work on the memorial. Fascinating stuff, the way the answers materialise so quickly never ceases to amaze! I have located a map of Basra from 1941. About 1½ miles south of the airport, there is a location called "RAF works and buildings. Written with smaller letters it says "Slipway". Just south of that, you have the "memorial to the missing". The location is almost 100% identical when compared to the Google earth. Notice the questionmark shaped inlet on GE (not the posted image), and compare with the inlet on the map. Last edited by Mondariz; 28th September 2008, 08:04. Yes excellent work Mondariz...I have ditched Google and made you my number 1 search engine!! Great to se the 1941 map...the RAF landing strip visible to the top LH of my photo. happy to help, as I like these detective games, when I have the time. Its pretty cool that the hangar is still standing, maybe ripe for a great barnfind! Excellent work on this photo. Really good stuff guys. Just to add my tiny bit. I would agree it is a Rangoon (three engines can just be seen) and therefore 203 squadron at Basra between 1931 and 1935. If it were a French Rangoon then I would expect it to carry the anchor symbol on the tail, which seems absent from your pic. See below for a French Rangoon with the distinctive tail markings. The French aircraft were sometimes refered to as "Naval Calcuttas". The blow up and the rest of the detective work conclude this nicely. I had a feeling that the memorial was a Mem to the Missing as I have visited many similar along the Western Front.